PTB, I am in the midst of reconstructing our old “PTB” website unto a new platform – there have been several attempts to get all of PTB to participate. Many pictures and documents have already been added, but we still have some gaps. Please be patient as I try to recreate the over 30 years of memories unto this new platform. If you have copies of ANY old PTB related docs – Newsletters, invites, pictures, please let Joe Rangitsch know. This is a pivotal moment for NASA and of course the absolute apogee of my professional journey. Last night, ‘Sasha’ Skvortsov (our current ISS Commander) and I sat together in the Russian Service Module for nearly three hours talking about this event coming up on Wednesday. 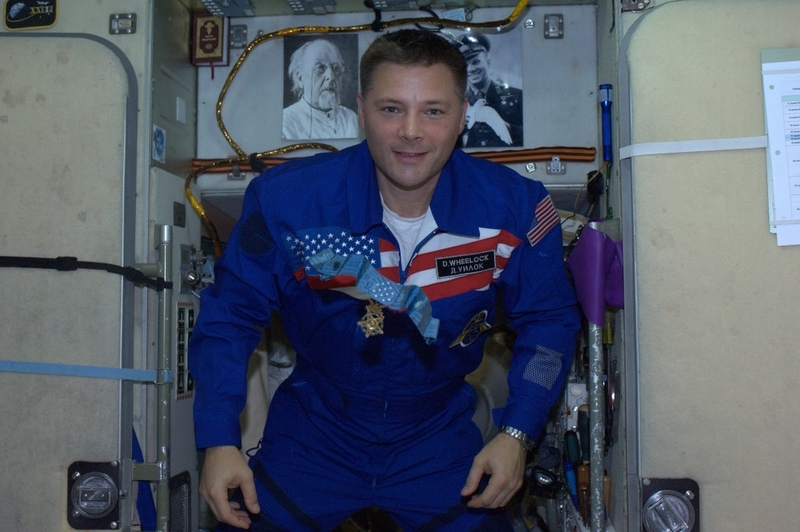 Though purely symbolic at this point, the Change of Command of a truly International Space Station from an active duty Russian Colonel to an active duty U.S. Army Colonel is something only dreamers could have imagined for our generation. The road to this point has been bumpy and crooked and seemingly impassable at times, but it is a road carved out and paved with the blood, sweat, and tears of patriots and dreamers. Sasha was in tears last night as he showed me photos of his MiG flying days and remembered friends that he had lost in their own skirmishes in Afghanistan and other places that I never knew about. He is a patriot through and through and we promised each other to brand this moment into history and pass the torch to our children and grandchildren. So that all that is left are the stories, and only memories of the struggle. 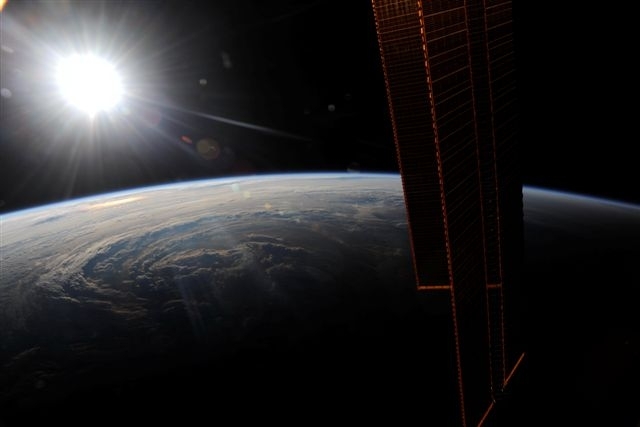 It’s all in a day’s work aboard the International Space Station. We are on Flight Day 95 now and looking forward to our “100-Day” milestone next Saturday, September 25th. At this point, a little past the halfway point in this 6-month journey, as I take a moment to look back, I realize that it has been a physical, emotional and spiritual awakening. It doesn’t take long to realize that we really don’t belong out here; we’re just temporary visitors in this hostile and unforgiving environment. There are so many things that I miss about the Earth. I drink coffee through a straw and squeeze food from tubes and plastic bags. And, I haven’t had a shower since June 15th…so…you may be glad you won’t be able to attend our Change of Command in person. My stay here on the Space Station has eclipsed all of my expectations and has truly been the pinnacle of my professional life. Every day is a blessed gift with a surprise around every corner it seems. As wonderful as this experience is, I sure miss the Earth. Living here in space is just incredible, but it doesn’t take long to realize how colorless, sterile, and lifeless things are out here. I miss the sound of rain and thunder…the smell of the leaves and the forest and flowers…the sound of children playing…and the feel of the wind against my face. 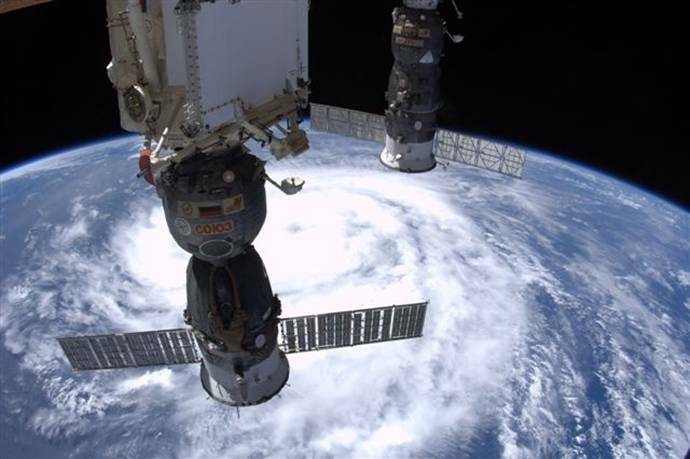 Although I was hoping for minimal drama during my stay here, by now, you may have heard that the tension aboard the Space Station had been ratcheted up a bit, since ‘the event’ back on Saturday night, July 31st. I hadn’t quite made it to bed yet that night, we were enjoying a relatively calm and quiet weekend getting rested for our spacewalk that was originally scheduled for Thursday, August 5th. I had just finished running on the treadmill and was in the U.S. Lab shutting down the treadmill power, when the alarms came. The ‘Caution & Warning Panel’ (kind of like your car’s dashboard ‘Check Engine’ or ‘Maintenance Required’ lights) lit up like the 4th of July…the sirens and warning tones went off…and my heart was in my throat. It was the beginning of a very long night and three weeks of the greatest physical and mental challenge of my life. I never did get to bed until the next evening. We scrambled and worked through the night as the Space Station was slowly dying. We powered down a lot of equipment including the Columbus (European) and Kibo (Japanese) Laboratories. The Space Station has two cooling loops (Loops A & B) to reject heat to space through radiators out on the truss. The medium outside is anhydrous ammonia, some pretty nasty stuff, and inside the medium is water. Simply put, the water coolant lines flow through the Station, picking up heat from anything and everything that is operating on the Space Station, everything from laptop computers to life support systems that maintain pressure, temperature, and the oxygen that we breathe. That water is moved through the lines by pumps inside that carry the water through the hull of the spaceship to several heat exchangers on the outside of the Station. In these heat exchangers, the water transfers that heat through conduction to high-pressure liquid ammonia, which is moved through lines by pumps outside on the truss to radiators where the heat is rejected to space. There are two of these ammonia pumps outside, and at about 11:00pm GMT on July 31st, the Loop A pump seized due to an electrical short and the Space Station began to die. It’s hard to describe how that feels when you’re inside, but let’s just say that that both loops of my adrenaline pump are working just fine. The rest of the story is chronicled in history now and is becoming a fading memory. Three very challenging spacewalks, totaling 22 hours and 49 minutes, of slugging it out with high pressure ammonia lines and stubborn mechanisms. I thank God every day of my life for delivering us through that time. I’ve always ascribed to the adage “if you’re not living life on the edge…you’re taking up way too much space”…those 22 hours and 49 minutes teetering on the edge turned out to be one of NASA’s finest hours, and I feel so fortunate to have been a witness to the power of faith, teamwork, and perseverance, with a dash of good old creative ingenuity, and all covered with God’s grace. 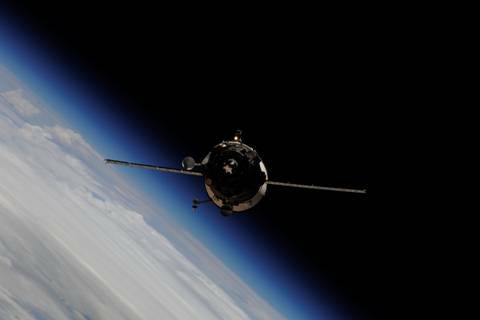 Our resupplies are brought to the Space Station on an unmanned Russian capsule called ‘Progress’. We were thrilled to welcome Progress 39P aboard the Station just last weekend. Lots of good stuff inside, including fresh fruit and vegetables. Sasha handed me my own personal Golden Delicious apple and I felt like he had just given me a chunk of gold. I’ll have to admit, I sort of felt like Tom Hanks in the movie ‘Cast Away’, with his buddy ‘Wilson”…the soccer ball. Well…I kept that apple for several days…gave him a name…and looked at him in amazement…I didn’t really talk to him or anything like that, so I don’t want you guys to think I am completely losing it. No worries…I ate the apple on Wednesday…and it was like a little piece of heaven. 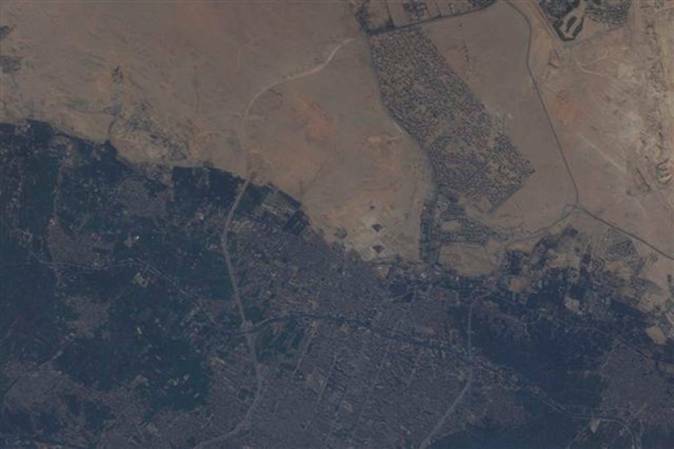 …The Pyramids in Giza, beside the fertile Nile River…. Thanks again for your patience with my delays in writing. I did intend to be a bit better about that and pledge to send more frequent updates. I miss you and look forward to seeing you soon back on planet Earth. 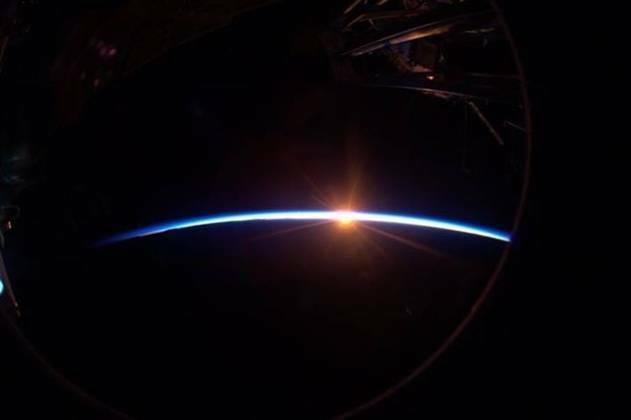 Happy 4th of July, from the International Space Station! I hope your day is full of life, love and laughter and you’re graced with those memories that transcend time. Thought I would send along this photo and my greetings to our classmates and friends. Floating in the Russian ‘Service Module’, the oldest part of the Space Station, and the Central Command Post of the ISS. Photos on the wall behind me are of Tsiolkovsky (a 19th century Da Vinci), the revered Russian ‘Father of Rocketry’ and Yuri Gagarin, the first human in space. Floating in front of me is the Congressional Medal of Honor, awarded posthumously to Lester ‘Sonny’ Stone, for his act of heroism and ultimate sacrifice on March 3, 1969 in Vietnam. Hope your 4th is the best ever! I’ll write more soon. Proud to Be, 83’s own, Colonel Timothy E. Trainor, has been nominated for promotion to the rank of brigadier general and assignment as Dean of the Academic Board, United States Military Academy, West Point, New York. He is currently serving as Professor, Department of Systems Engineering, United States Military Academy, West Point, New York. Tim, we all know you are good, but we know Donna gets a major assist. Congratulations to Donna, Tim, and family! 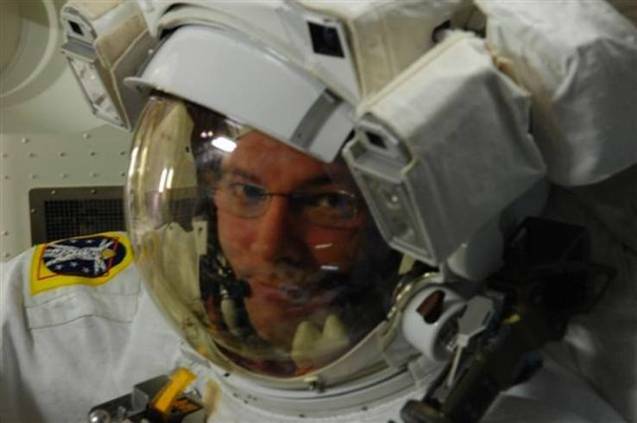 Doug’s life in space got a lot more interesting this past week when the ammonia pump broke. From the story that follows, it looks like they better fix it quick. Doug and his fellow astronaut are now going to take a couple walks in space to do just that. This setback comes just weeks after the station had a near miss with the resupply ship – it went flying out of control by the space station. Mission control was able to get it docked the next day. NASA astronauts and engineers are refining plans for two spacewalks by astronauts Douglas Wheelock and Tracy Caldwell Dyson to replace a large ammonia pump module that shut down Saturday, knocking out one of the International Space Station's two cooling loops. The astronauts hope to carry out the first spacewalk Friday morning, starting at 6:55 a.m. EDT, and a second excursion Monday to finish the job, one of the so-called "big 14" on a list of critical components that require spacewalk repair if problems crop up. NASA managers initially targeted Thursday for the first spacewalk and Sunday for the second, but decided late Monday they needed more time to review procedures. 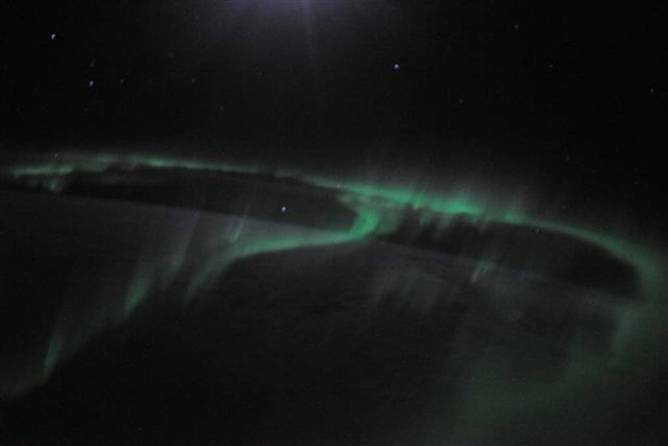 "This is an anomaly we knew someday would happen," said space station Program Manager Mike Suffredini. "It's an anomaly we have trained for; it's an anomaly we have planned for." With four spare pump modules on board the station, "we're in a good position to go solve this problem," he said. 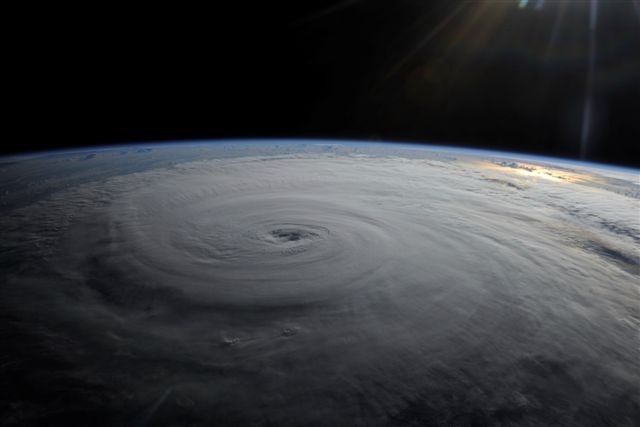 "It is a significant failure, though, in terms of systems on board ISS, so it's one we need to go after." The shutdown of coolant loop A forced the station crew, working with flight controllers at the Johnson Space Center, to quickly power down a variety of critical systems to prevent overheating, including a communications channel, two of four stabilizing gyroscopes, a GPS navigation sensor and several computer control boxes and heaters. Engineers attempted to restart the pump early Sunday and "the data suggests the motor and impeller are not frozen," Suffredini said. "In fact, the motor did start to pump some of the ammonia when we tried to start it the second time." But in a repeat of the Saturday malfunction, a circuit breaker tripped within a few moments "so this tells us there's a short somewhere in the power feed to the motor between the controller and the motor." The pump module was installed and electrically activated in 2002. The pump was not turned on for active cooling until late 2006. Based on ground testing, the "mean time between failures" was calculated to be around 100,000 hours. The pump in question failed earlier than that, after about 80,000 hours of combined electrical and mechanical operation. Suffredini said engineers hope to get the faulty unit back for a detailed failure analysis, but there is no room on the next two shuttle flights, the final two missions on NASA's manifest. There is congressional support for an additional flight next June, however, and if that mission is approved, Suffredini said room would be available to bring the old pump home. In any case, flight controllers analyzed heat loads after Sunday's restart attempt and were able to revive one of the shut-down gyros. Other components were switched to coolant loop B and officials said the six-member crew – three American astronauts and three Russian cosmonauts – was never in any danger. But the coolant loops, which circulate ammonia through huge radiators to dissipate the heat generated by the station's electronics, are critical to lab operations. With one loop out of action, the station is one failure away from a major shutdown that would be much more difficult to resolve. As a result, NASA managers decided Sunday to defer more routine tasks in an already planned spacewalk Thursday and to proceed instead with a pump module changeout, a job that will require two spacewalks to complete. 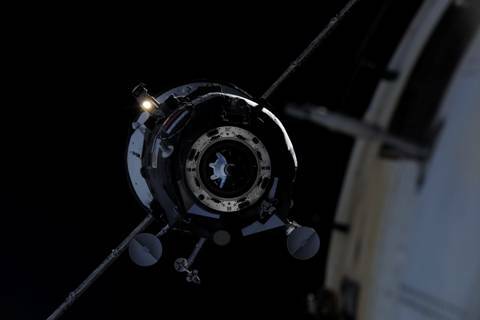 The loop A pump module is mounted on the forward face of the station's main power truss, just above and to the right of the Destiny laboratory module, in the starboard 3, or S3, truss segment. Its loop B counterpart is mounted to the left of Destiny in the port 3 truss segment. The Boeing-built 780-pound pump modules measure 5-and-a-half feet long, 4 feet wide and 3 feet high. It is too large to fit aboard European or Russian unmanned cargo craft. With only two, or possibly three, flights left on NASA's shuttle manifest, the agency been launching as much in the way of spare parts and components as possible on recent flights as a hedge against failures after the shuttle stops flying. Four spare ammonia pump modules already are stored aboard the space station. One is mounted on External Storage Platform No. 2 by the Quest airlock on the right-side of the station, about 30 feet or so from the failed unit in the S3 truss segment. That is the pump that will replace the one that malfunctioned. A second pump module is mounted on ESP No. 3, attached to the upper side of the port three power truss segment on the left side of the station. A third is attached to a logistics carrier on the lower side of the P3 truss segment and the fourth is attached to a carrier on the upper side of the starboard 3 truss. Wheelock and Caldwell Dyson were preparing to carry out a spacewalk Thursday to mount a robot arm mounting fixture on the Russian Zarya module and to prepare NASA's central Unity module for attachment of a storage compartment during a shuttle flight in November. They practiced an ammonia pump swap out during a September 2009 training run. Astronauts at the Johnson Space Center are now practicing the swap out in the huge swimming pool NASA uses to simulate weightlessness to refine those procedures and develop a reliable timeline. 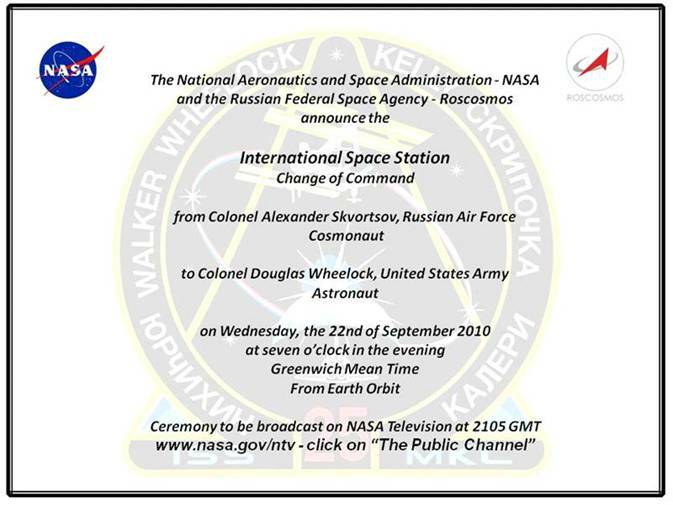 That information will be radioed to Caldwell Dyson and Wheelock for review on the space station over the next two days. "They're in great spirits, they're ready to do this EVA," Suffredini said. "This is one of the 'big 14' EVAs, which to date we haven't had to do yet. The big 14 refers to some of the major (components) an increment crew might have to do without the shuttle vehicle there. "We don't train them all," he said. "The crews train generically for maintenance and then train for some of the big 14. This particular one, the crew did train for, so they have some familiarity with the task being asked of them." Overall, he said, "we're actually in great shape. 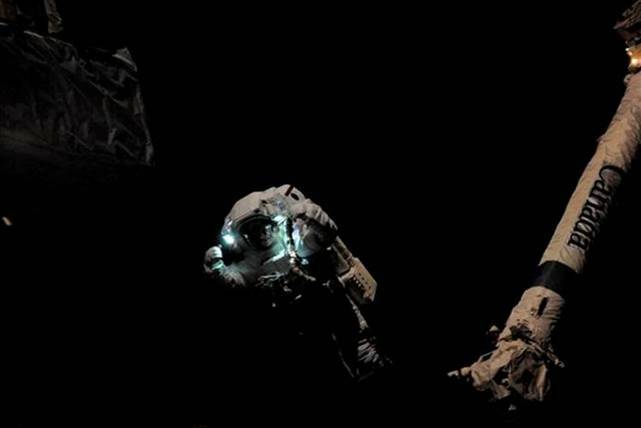 To have the EVA already planned (for this Thursday), that is significant because there's quite a bit of work to configure the airlock, get everything set up for the crew to use the suits." Most of that work had already been done in preparation for the previously planned spacewalk and "that was really a blessing in terms of the time to get to this job." Even so, spacewalk planners needed more time to refine procedures for the pump replacement EVA, pushing the first excursion to no earlier than Friday. The current plan calls for the astronauts to first remove the failed pump module and temporarily mount it on an external storage fixture. A "jumper box" will be attached to two of the ammonia lines, preventing possible pressure problems as coolant in the lines expands. The pump module "is a difficult box to maneuver with, it's a big, unwieldy object," said space station Flight Director Courtenay McMillan. 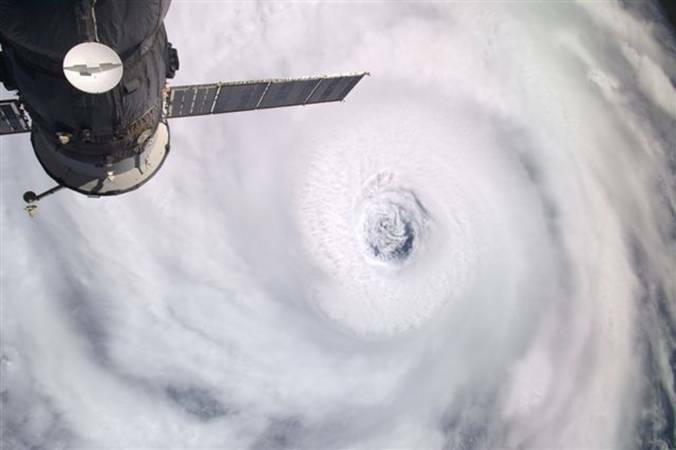 "So maneuvering it around and handing it off between crew members if that needs to be done, that could take some time. None of that part of it is technically difficult, but it's just very time consuming and takes a lot of focus." The new pump then can be removed from ESP-2 and bolted into place on the S3 truss segment. 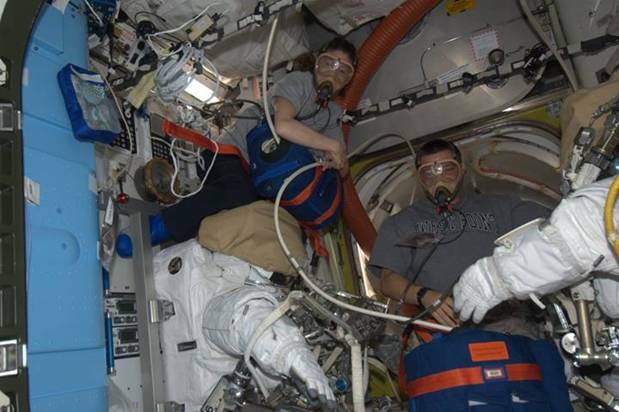 During a second spacewalk, Wheelock and Caldwell Dyson will make the required electrical connections, disconnect the jumper box and attach the ammonia lines. Engineers are still thrashing out the details. With a single working coolant loop, the electronics used to run and operate station's robot arm cannot be allowed to overheat. Its not yet clear whether the arm can be used to move a spacewalker, the spare pump module, both or neither. Another complication is managing the station's solar arrays. The station and its huge arrays can generate a charge as the lab moves through the tenuous upper atmosphere at 5 miles per second and two devices, called plasma contactor units, operate during spacewalks to minimize the shock hard to the spacewalkers. With the failure of coolant loop A, one of those devices is out of action. 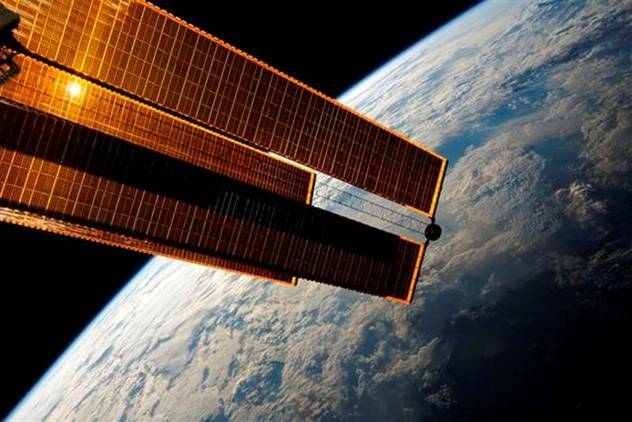 Under current flight rules, that would require all but two of the station's solar arrays to be parked and locked in a favorable orientation, unable to track the sun, during the spacewalk. If that rule remains in play, the astronauts could be faced with additional powerdowns during the spacewalk. Finally, planners will have to make sure Wheelock and Caldwell Dyson have enough air and power for possible ammonia contamination "bake out" procedures at the end of the spacewalk. 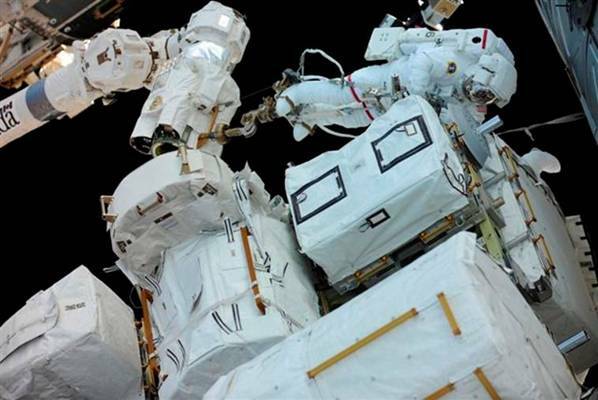 Engineers plan to vent the ammonia lines leading to the pump module on Tuesday, but even residual ammonia poses a risk if it is brought back into the station on a contaminated spacesuit. As a result, the astronauts must have enough time available at the end of their planned work to let any trace amounts of ammonia bake out, or sublimate, before re-entering the space station. "Since the external loop uses ammonia as the cooling fluid, all the lines are pressurized with ammonia and have to be released by the crew during the EVA," McMillan said. "We've done this before with different parts of the thermal system. The crew is very well trained on how to do decontamination if they get ammonia on them during the procedures. But it presents a timeline challenge to make sure we have enough room in the timeline to account for that." “Five weeks ago I was sailing around the world and now I have a stage IV terminal brain cancer. I am thrilled with the outcome of my surgery which appears to be successful and looks like it will give me an opportunity for a round of Chemo and radiation…. Below is a note from Bonnie highlighting an initiative she and Jill Maurer are honchoing to make Lara’s Garden a spectacular place for her to enjoy life. As promised, Jill and I have come up with a plan for Lara. We have a lot going for us…clarity with regards to what the family needs, people on the ground in Scottsdale willing to help, and all of your anticipated generosity. Lara is currently in the hospital with no known date of release, undergoing physical therapy etc. The York home has a back patio area that has a raised bed, which now has been planted with flowers. We have neighbors standing by at the ready. One of whom (John, a retired firefighter and all around great friend) has offered to personally buy small bouquets of flowers from Trader Joe's WEEKLY and place them strategically throughout the house. (He has the key to the house and Lara loves him…and his wife has amazing taste and decorum). John and Annamaria (his wife) have arranged for a housekeeper every two weeks to do light housekeeping. I have arranged for my friend Laura, who works at Lowes in Scottsdale, to plan, design and oversee a patio overhaul (NOT heavy renovation…just to make it nice for Lara to sit in and enjoy) which will begin immediately, turning her garden area into a tranqul refuge. I will open an account at the bank tomorrow and will manage all funds, releasing payment to John and Laura (my Lowes contact) when needed. It will be under my name and also under the name 'Lara's Garden'. Any monies left over upon completion of the patio project, housekeeping or flower arrangement needs, will be summarily donated to GrayMatters Foundation, an organization dedicated to helping those afflicted with brain tumors. Please email me if you have any questions or comments. This is important…this is the real deal. I will not beg…but I think you know where I'm coming from. You all have asked what you can do to help, and I am telling you what you can do!!! We have a chance to make our friend’s remaining days on this earth a little better, a little more beautiful. GRIP HANDS…and please consider contributing.